The award-winning documentary, which has inspired an upcoming feature-length film adaptation, will make its DVD debut this Spring. Crime After Crime chronicles the dramatic legal battle to free Debbie Peagler, a woman sentenced to life behind bars for her connection to the murder of her abuser. The inspiring film received critical acclaim nationwide, and more importantly, sparked global attention to the broken legal system between domestic violence and criminal justice. At the time, California was the lone state with a law allowing incarcerated survivors of abuse to petition for their freedom. After its Sundance Film Festival premiere last year, Crime After Crime has inspired similar reforms in six more states, with New York's proposed Domestic Violence Survivors Justice Act leading the pack. The film continues to help put an end to similar situations, as in the case of State Senator Loretta Weinberg who announced at a NJ film screening that she would introduce legislation to help assist victims of wrongful incarceration and domestic violence. 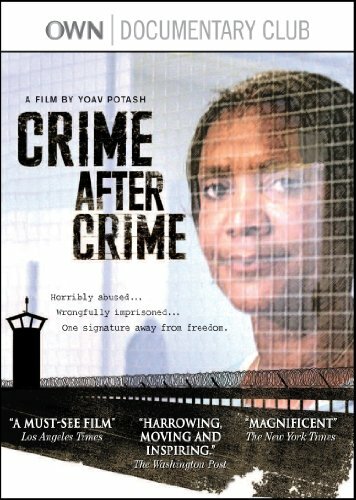 After taking home 17 major film festivals, and television premiere on OWN: Oprah Winfrey Network, Crime After Crime, will be available on DVD beginning April 24, 2012 by Virgil Films & Entertainment. The disc will contain special bonus features including a featurette about the broader significance of the Debbie Peagler story, a Sundance Film Festival Q&A with the filmmaker and individuals in the documentary, deleted scenes, film crew bios, and information about Debbie's Campaign, a nonprofit project to help prevent domestic violence and wrongful incarceration. Crime After Crime tells the dramatic story of the legal battle to free Debbie Peagler, a woman imprisoned for over a quarter century due to her connection to the murder of the man who abused her. Her saga takes an unexpected turn two decades later when two rookie attorneys, with no background in criminal law, step forward to take her case. Through their perseverance, they bring to light long-lost witnesses, new testimonies from the men who committed the murder, and proof of perjured evidence. Their investigation ultimately attracts global attention to the victims of wrongful incarceration and abuse, and takes on profound urgency when the case becomes a matter of life and death once more. Filming in and out of prison for over five years, filmmaker Yoav Potash methodically documented this story as it unfolded. With exclusive access to Debbie Peagler and her attorneys, Crime After Crime tells an unforgettable story of a relentless quest for justice. *	OWN Doc Club "Sizzle reel"